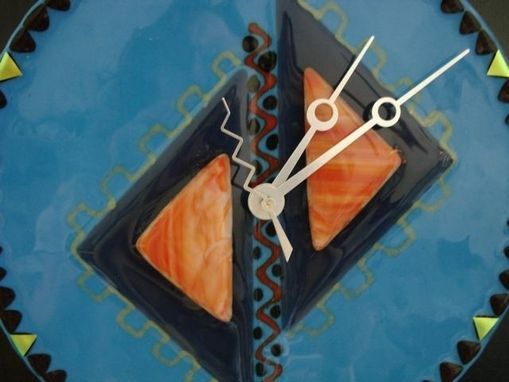 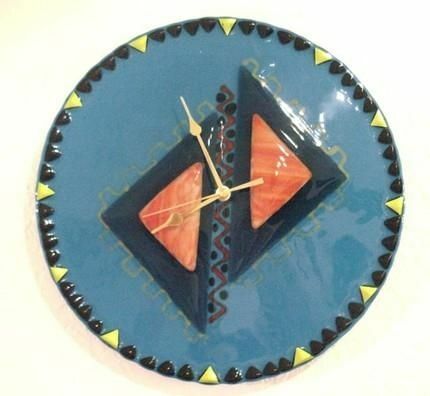 This unique pyramid clock can lend a rustic flavor to any area in your home. 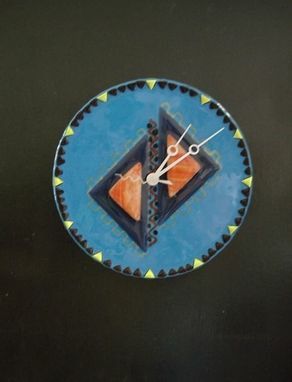 The base is made of light blue glass fused with dark blue, streaky red and yellow elements, while the clock mechanism has prominent silver hands. 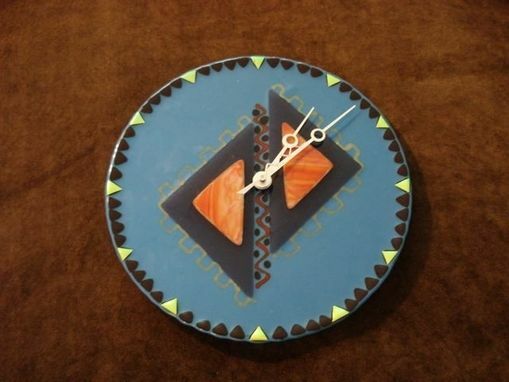 This homey handmade timepiece measures 10 _'' in diameter.